There's been an awful lot of focus on the emerging Robotic Process Automation (RPA) solutions since we unveiled the concept to the services industry in 2012. While early movers, like Blue Prism, have stolen most of the early headlines in the space, we've seen other very effective tools and platforms emerge, such as Kryon Systems, UIPath, WorkFusion and Nice. However, one solution has been especially rampant in the BPO space (especially in finance and accounting) - Automation Anywhere - whose team has been working tirelessly with leading providers such as Genpact, Accenture and EXL to streamline processes and drive all the associated benefits of automating high volume, high throughput tasks that were previously plagued by unnecessary and costly manual interventions. Phil Fersht, Chief Analyst and CEO, HfS Research: Good afternoon, Mihir Shukla. You've been at the forefront of so much of the new thinking and ideas in RPA and Intelligent Automation in the last couple of years. Automation Anywhere almost came out of nowhere. So I'd love to hear a bit more about your background and how you really ended up leading this firm. What was the journey? 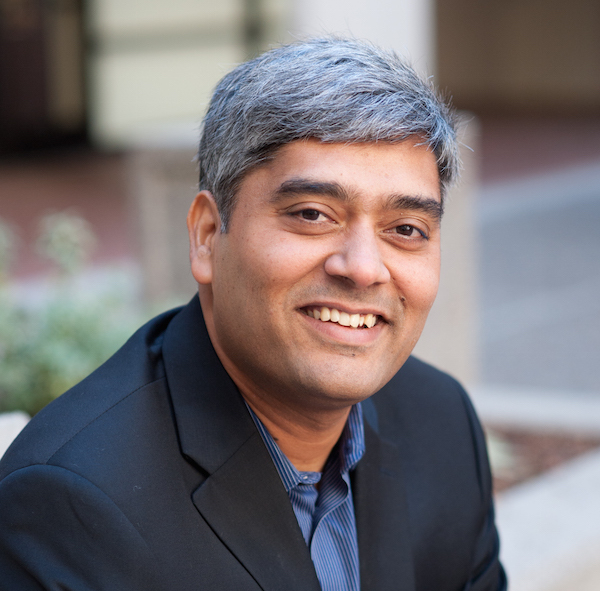 Mihir Shukla, CEO, Automation Anywhere: Good to talk with you again, Phil. It's interesting when you look back, how you end up with something. I came to the US to do my PhD around the time when the Internet was just coming around. So I got the disruption bug, and it was a lot more fun disrupting different industries than doing a PhD. 22 years later, I look back and I’m fortunate enough to have led five or six large disruptions in various capacities. First, I started at Netscape, where I had a chance to shape the era of the Internet. Then I worked at Infoseek, which was one of the early search engines, where I got to help define how to access the Internet, how you discover things, and we built an early eCommerce platform. Then I had a chance to be an advisor to OmniSky, creating the first Internet-enabled smartphones. I still remember the time when I was one of the 14 guys in Silicon Valley who could go anywhere in the world and find the nearest restaurant. Today, there are a billion of us who can do that. There was lots of learning along the way. The genesis of Automation Anywhere came from one of my last disruptions, which was at E2Open, where I had the opportunity to integrate the supply chain of the top 10 high-tech companies. At that time I had a chance to use various BPM tools, enterprise application integration tools, and ETL tools. It was during that experience that I saw the challenges faced in trying to integrate a global supply chain that includes hundreds of applications and thousands of people. I thinking at that time was there must be a better way to do this. So in 2003, we started Automation Anywhere—and that was a genesis of RPA. Of course, it wasn't called RPA back then. But the idea was to simulate human behavior on a computer and be able to automate everything we do on a computer screen. And 13 years later, we're the largest provider of RPA solutions. So that's how it all started, and that's where we are today. Phil: So what can you share with us about Automation Anywhere secret sauce? What is it that makes you guys tick? What is it that you feel has been the catalyst to this hyper-growth that you've been experiencing? Mihir: There are quite a few things that we do very differently, that are unique to us. First of all, we're the largest and most fluent platform on RPA today. We have over 500 enterprise customers, the highest number of bots, many large deployments on our platform, and the highest ROI. What that means for a customer is, as I said, the most fluent platform. So the product is a lot more mature, our practices are a lot more refined and we're a lot more humble as a result of all of that. Anyone looking at RPA today will see a company that arguably owns 60% or more of the market share—which is us. So that's the first one. The second secret sauce ingredient is that, in addition to being the largest RPA vendor, we're also the only one who has a digital workforce platform. It is a combination of RPA, cognitive and analytics together. What does the combination of these three things mean? One is that if a typical RPA vendor can automate 10% of the processes, our platform can automate 60% or more of the processes, with the combination of the three capabilities together. So what you can automate is significantly broader. The second part is in terms of returns. You have reported that RPA gives returns anywhere from 30% to 70% and there are some examples of a few hundred percent returns as well. With digital workforce, you could get two to four times more return than just the RPA platform. For one of the large telecom customer, there is an 18,000% return. Yes—18,000%. Almost unbelievable, right? Digital workforce can deliver significantly higher results. So that's the second big differentiator. The 3rd differentiator is that often in the industry for RPA implementation you either get scale or you get speed. But how do you get scale and speed? To our knowledge, ours is the only platform that can get 50 people worth of productivity in six weeks, and 500 to a 1,000 people worth of productivity in one year. I have not heard of a single installation outside of ours that can deliver this level of digital transformation. We also have the largest partner channels—17 of the top 20 companies are our partners. And there are more than 10,000 people trained on our platform in the industry today. Let me mention one last differentiator. Maybe you're familiar with it. BotFarm is one of our latest innovations. It’s a bot platform that can deliver anything from 50 bots to 5,000 bots—with a click of a button. Where you need it, when you need it, for however long you need it. That level of scale and speed is just one example of how we deliver. So those are a few things. Phil: Mihir, you talk a lot about the digital workforce and digitally shared services. What does this really look like, Mihir? Mihir: A few years back we were looking at what was next. How do we take this beyond what we deliver today? That, for us, is the digital workforce—it’s the next generation of RPA. Think about it, Phil, what do all of us do at work? About four things. We think about things, then we do it, then we analyze it, and we drink coffee. Now, think how do I augment these capabilities with technology, of course except the coffee? So cognitive thinks with you. RPA allows you to do things better, faster, at digital speed. Our real-time analytics allow you to analyze. So now technology has given us a way to augment thinking, doing and analyzing. When you combine them, you get a digital worker with all the three capabilities that we require at work. Each one by themselves is a huge wave, as we know. Combine them, and you get a tsunami. It is the true digital workforce that will lead the next wave in the industry. Phil: That’s good to hear. You’ve moved so fast as a business. So as you look out where you go next, where does Automation Anywhere develop its capabilities beyond automation? What does the long-term product roadmap look like as you peer into the future, Mihir? Mihir: Okay. So I think we have come really far, but there is a long way to go. There are two areas where we focus significantly. One is, as I already mentioned, scale and speed. So, today we can do 50 people worth of productivity in six weeks and 500 to 1,000 in a year. We're now looking at how to do 200 people worth of productivity in six weeks. How do we get to 5,000 people worth of productivity in a year? How do we push this digital transformation speed even higher? In the next year, you will see series of innovations from us in various areas, all pushing the boundaries. We're heavily into R&D investments, Phil. We have about 150 people in our R&D team alone. So one thing for sure is you can expect some amazing things in the next year. One area we focus on is integrating cognitive RPA and real-time analytics—looking to make it more and more seamless, and more and more powerful. So, take an example of our cognitive solutions today. After many years of effort, we have reached a point where you could get up to 80% return in two months. One of the challenges in the cognitive world has been how to train your system that fast. It typically takes a long time. I'm very proud of our R&D team here. To achieve that level of sophistication, where you could train a system in just two months, where 80% of the straight-through processing is possible. It is an achievement, I humbly believe. We're going to push those boundaries even further and combine these three capabilities to take it to new levels. Phil: Good to hear. So finally, then, I'm going to give you the keys to the kingdom of automation for one whole week. If you can do one thing to change this industry for the better, what would that one thing be? Mihir: I like the question already. What would I like to do? Am I dreaming here, or do I have to look at all the constraints? Phil: One thing you can do with full empowerment. Mihir: I think I'm going to take the license to One A and One B. There is so much domain expertise and knowledge with service providers. But digital transformation is coming through and they need to re-invent. So I would take service providers private, automate 40% to 70% of everything they do, go back to the public market with three times the valuation and three times the profit. Easy to say, but there would be a lot of challenges. The second one is in the shared services space. If I am doing 10 functions, 10 areas where I am doing shared services, I would take three of those functions and make digital workforce the first strategy—and this is not me dreaming, we should start doing it in my opinion. What it means is that I don't need a reason to automate. I need a reason to do it manually. It should be digital workforce first. It should be all digital unless it is required not to be. I would start pushing that way in my shared services and take it from there. In five years every business will be a digital business, operating like Google, Facebook, and Uber. That's how the world will be in five to seven years. You start there, by taking three departments and say goodbye to manual. Phil: I think that's a really good answer! Mihir: Are you going to grant my wishes? Phil: I definitely like the one about taking the service providers private. That would get them out of this quarterly mindset and they might actually do something to prepare for the future and not just the present. Being able to help their clients get ahead of digital disruption is very smart, because the biggest threat to the industry right now isn't automation, it's digital disruption. When you look at the Fortune 500 in three to five years time, it will be made up of all these digitally run businesses. Like for example, an insurance company can come along with an Uberized-type delivery model to compete with an Allstate or State Farm, which has 10,000 people onshore processing insurance claims on green screen technology. They're out of business overnight! You can look at digital banks, for example, targeting millennials with pure app-driven bank account capabilities. The disruption can put these guys out of business so fast. And they need to pivot a strategy. They need to understand what is happening, so they can react to it - staying ahead of the curve and not reacting to it. We're even seeing some clients investing in startups so they can almost move into a startup type model, to get out of the model they are in. So I think helping clients understand, combat and pivot against disruption are really the keys here. Thinking with a digital-first mindset, which you've laid out very intelligently, is exactly the way to go. Mihir: You know, I recently had a chance to travel around the US, Europe, India, and other some Asian countries. I met about 50 of the Fortune 100 leaders, one-on-one. I asked them when digital-first will really take hold. I was talking to people from all industries—banking, financial service, insurance, manufacturing, retail, oil and gas, healthcare and others. Each one of the leaders had a model on when they must fully go digital. Very surprisingly, almost everybody had the number at around seven years. It was shocking to me, that almost regardless of industry everybody says that in seven years, if they didn't have full digital scale, they would face an existential threat. But I would say the countdown is five years. Because no employer or investor is going to wait for rock bottom. What do you think? Mihir: Is five years a good countdown or would you say other industries have more time, before they have to push all-digital button? Phil: It depends on how we define digital. But I think in some industries we're seeing the all-digital button being pressed now. So, in retail and travel, I think it's being pressed now and it's probably more like two to three years for them. In something like maybe banking, probably more like five to seven. Insurance, maybe three to five. Media, it's already here. So, I think it depends on the industry. But seven years is probably the slowest. Some of them are already getting in now. Phil: Mihir, this has been a great, enlightening discussion. Thanks for joining me. I know our readers will enjoy this. Mihir Shukla (pictured above) is CEO and Co-Founder of leading robotic automation solution provider, Automation Anywhere. You can view his bio here. There are good reasons why the CxO suite is saying seven years. For them, this question actually translates to the productivity conundrum and it's relationship to economic activity and growth. The economic theory is well known but the real, measureable pace of improvement is not encouraging (despite the claims of massive automation bumping up human output). The on the ground reasons may change depending on where you go - India, China, Tokyo, EU or US, but the productivity growth is slow or in some cases stagnant.